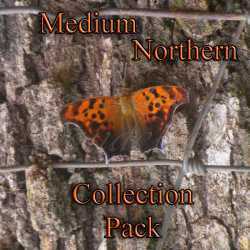 Self Sufficient Medium Northern Seeds Collection Pack. Heirloom Seeds Self Sufficient Gardener Collection Medium Northern Variety Pack. This Heirloom collection contains 37 unique varieties of Heirloom Garden Seeds. 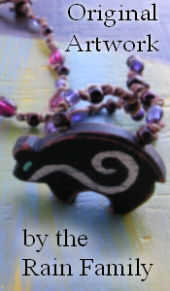 This is a great value, if purchased individually the cost would be $70.50. That means you get 37 full size packs of seed for $48.00 that's $22.50 off the price it would cost you if purchased individually. Love Lies Bleeding Red Amaranth Grain Seed ~ This heirloom Amaranth has long vibrant red spikes that drape from 4" tall sturdy plants. The light green pink tinged leaves can be cooked as tasty greens. The long brilliant red flower ropes produce a gluten free grain that can be eaten in a variety of ways. This plant is a terrific choice for sustainable living. Love Lies Bleeding Red Amaranth is drought tollerant and very easy to grow. 60 day until harvest for the grains. Packet contains approximately 200 seeds grown naturally with love and care. Mary Washington Asparagus Seed ~ This heirloom asparagus has delicious long dark green spears. Wonderful flavor! Mary Washington Asparagus is great when baked and they are absolutely wonderful and tender. Packet contains approximately 100 seeds grown naturally with love and care. 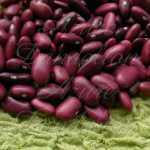 Blue Lake Bush Bean Vegetable Seed ~ This heirloom bean is a bush type plant that bear heavy yields of dark green, round pods that measure up to six inches long. The beans are tender and crisp with a good wholesome flavor. Blue Lake Bush Bean plants produce longer than most. 58 Days until harvest. Packet contains approximately 50 seeds grown naturally with love and care. Butterscotch Bean - Steuben Yellow Eye. This heirloom bean can be traced back to at least the 1860's where it was used for Boston Baked Beans in New England. They are also known as a Steuben Yellow Eye. The plump oval white beans have butterscotch coloring around the eye of the bean. 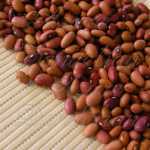 In the Southern states this bean is a favorite for using in Hoppin' John. The bush type plant grows to 18" tall and produces well. 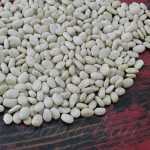 Harvest early and cook fresh or let fully mature for a dry bean. 50 days until harvest for fresh beans. Packet contains approximately 50 seeds grown naturally with love and care. Heirloom Detroit Dark Red Beet ~ This heirloom beet has a globe shape with a small tap root. The interior is blood red in color with faint zoning. It cans dark red. Terrific rich flavor. The tops make great greens. 58 Days until harvest of root. The tops can be harvested at desired size. Packet contains approximately 300 seeds grown naturally with love and care. Late Flat Dutch Cabbage Seed ~ This heirloom Cabbage has huge, flattened, solid heads that measures 10-12" across and weighs up to 20 lbs. Late Flat Dutch Cabbage is a blue green color outside with a creamy white center. 100 days until harvest. Packet contains approximately 350 seeds grown naturally with love and care. Parisienne Carrot Vegetable Seed Parisienne Carrot ~ This heirloom carrot is small, round and filled with flavor. The shape of Parisienne Carrot makes it easy to grow even in heavy soil. These orange globes are very tender. Packet contains approximately 800 seeds - grown naturally with love and care. 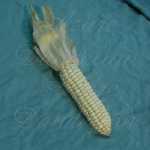 Golden Bantam Corn ~ This heirloom Golden Bantam corn has 5 1/2" - 6" long ears. The tender, deep kernels are placed in 8 rows. This variety has a very flavorful buttery taste. Use as you would any sweet corn. 83 Days until harvest. Packet contains approximately 125 seeds. National Pickling Cucumber ~ National Pickling Cucumber is a heirloom that is perfect for pickling because of it's thin skin that makes for a more flavorful pickle. The fruit of National Pickling are dark green with black spines and average 4" to 6" long. National Pickling Cucumbers size also makes them easy to fit into a pickle jar. 54 days until full maturity. Packet contains approximately 30 seeds grown naturally with love and care. Long Purple Eggplant ~ This heirloom eggplant grows on hardy 20" - 38" plants are a good choice for North growers. Long Purple Eggplant produces long 8" - 10" club shaped purple fruit. 80 days until harvest. Packet contains approximately 30 seeds grown naturally with love and care. 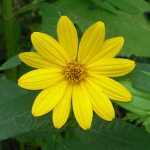 Crackerjack Marigold Flower Seed ~ This lovely heirloom flowers in shades of yellow, orange, and gold. The large double blossoms average 4" across on 30" tall plants. Crackerjack Mix Marigold blooms all summer until frost. Marigolds are perfect as a companion plant for your tomatoes to help repel harmful pest. Also great for container growing. Packet contains approximately 200 seeds grown naturally with love and care. Ground Cherry Strawberry Husk Tomato Fruit Seed ~ This heirloom Ground Cherry has produces fuit that measures approximately 1/2" in diameter. The flavor is like a very sweet tomato. The fruit of the Ground Cherry is surrounded by a paper-like husk formed from the calyx. They resemble Chinese lanterns on the plant. As the fruit matures, it fills the husk. The husk and fruit inside turn yellow when ripe and easily fall off the plant when touched. This plant is very productive. Healthy, well cared for plants can reach 4 feet tall. 70 days until harvest. Packet contains approximately 50 seeds grown naturally with love and care. 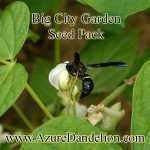 Lincoln Pea Vegetable Seed ~ The compact vines of this heirloom make it a perfect choice if you have little space or just want to maximize the space you have. The easy to shell 3" to 3 1/2" long pods are filled with eight to nine unbelievably tasty and tender peas. Lincoln Pea will tolerate warmer cimates. 67 days until harvest. Packet contains approximately 100 seeds grown naturally with love and care. Sweet Italian Basil Seed ~ Grow your own Heirloom Basil and always have fresh Pesto! Basil is a wonderful addition in any pasta dish and compliments tomato dishes nicely. Harvest continually to encourage new growth. Packet contains approximately 100 seeds grown naturally with love and care. Tam Jalapeno Pepper Vegetable Seed ~ This heirloom hot pepper has thick flesh that starts out a dark green and eventually turns a dark red as it matures. Tam Jalapeno Pepper is 5 days earlier than regular Jalapeno and is less pungent, having only about half the heat of the regular Jalapeno. If you are a lightweight when it comes to that spicy burn this pepper is a perfect choice for your salsas, chili, or also can be eaten raw. 70 days until harvest. Packet contains approximately 25 seeds grown naturally with love and care. Vates Blue Curled Kale Seed ~ This Heirloom Kale is an early variety that has leaves that are the deepest sea blue-green colored and are very finely curled. Compact growing habit makes it a great choice for those with limited gardening space. Great flavor and only 56 days until full maturity. Can be harvested at any stage of growth. Packet contains approximately 250 seeds grown naturally with love and care. 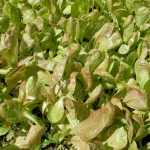 Grand Rapids Lettuce Seed ~ This heirloom leaf lettuce makes large compact bunches of bright green leaves. The broad crumpled leaves have frilled edges. Grand Rapids Lettuce is crisp and sweet. Can be harvested at any stage of growth. 45 days until maturity. Packet contains approximately 250 seeds. Hearts of Gold Cantaloupe Melon Seed ~ This heirloom cantaloupe has 2 - 3 pound fruit. The deep orange colored flesh is sweet and flavorful. Hearts of Gold Cantaloupe Melon is slightly oval shaped with netting. Selling of this seed can be dated back to the 1890's. 85 Days until harvest. Packet contains approximately 30 seeds grown naturally with love and care. Emerald Velvet Okra Seed ~ This heirloom has 7" long, light green colored pods that are round and tapered and have no spines. Emerald Velvet Okra grows five to six feet tall and is ready to harvest in 60 days. Packet contains approximately 30 Emerald Velvet Okra seeds grown naturally with love and care. Yellow Sweet Spanish Onion Vegetable Seed ~ This heirloom is a favorite for slicing. This large globe shaped onion has sweet white flesh with a pleasant mild flavor. Yellow Sweet Spanish is a long day type that has brownish-yellow skin and a long shelf life making it a good choice for winter storage. Harvest at desired size. 115 days until harvest. Packet contains approximately 300 seeds grown naturally with love and care. Tatsoi Rosette Bok Choy Seed ~ (Brassica rapa (Narinosa group) Sometimes called Spinach Mustard or Spoon Mustard, and Rosette Bok Choy. This heirloom Pak Choi has dark green spoon shaped leaves that grow to form a rosette. It is very versatile and can be used as you would Bok Choy: fresh in salads, steamed, stir fried, incorporated into recipes. I would describe the flavor is similar to Bok Choy with a subtle bite of mustard greens flavor. Harvest Tatsoi Rosette Bok Choy at desired size. 45 days until maturity of a full size rosette, 20 - 25 day for baby greens. We are able to plant this green in spring, summer and fall, but in summer we have a well shaded area for it. Tatsoi can withstand temperatures down to 15°F and like parsnip, can be harvested even from under the snow. Some say the snow makes it sweeter, I wouldn't know, I don't like to go out in the snow. 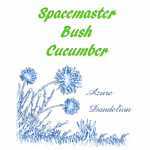 ;-D Packet contains approximately 400 seeds grown naturally with love and care. Corn Dutch Salad Greens Seed ~ This Heirloom greens has tender spoon shaped, glossy green leaves. Corn Dutch Salad Greens grow in virtually any climate but they thrive in cooler temperatures. The leaves are high in iron. This green can be cooked as you would spinach or used fresh in salads. Great fresh flavor some describe as minty. This is a quick growing plant. As the plant grows, you can harvest the outer leaves as you would leaf lettuce. Or wait and harvest the whole plant before it goes to seed. You can start harvesting the outer leaves in less than 3 weeks. Packet contains approximately 250 seeds grown naturally with love and care. Champion Radish Seed ~ Globe shaped Heirloom! Summer type, just 28 days until harvest. The flesh of Heirloom Champion Radish is crisp, white and does not become pithy or woody easily. Bright Red outside. This variety has 3 1/2" - 4" large greens. We harvest our radish greens as the bulb is growing, by just snipping off the larger leaves. We pick them before they are old enough to get the rough hairs on the back of the leaves. They are great steamed or boiled. Packet contains approximately 350 seeds grown naturally with love and care. American Purple Top Rutabaga Seed ~ This heirloom rutabaga has smooth globe shaped yellowish white roots with purple tops. Fine textured creamy yellow flesh. Roots grow 5 - 6" across. Harvest American Purple Top Rutabaga after several hard freezes. Use fresh or clean, wax and store for later use. 90 days until harvest. Packet contains approximately 400 seeds grown naturally with love and care. Mammoth Melting Sugar Pea ~ This heirloom sugar pea grows on 4' vines that can be easily trellised or use plant weave. The plant is a great producer of larger 3/4" wide and 4" - 5" long fleshy, sweet pods. The pods are free of fiber and strings. You can eat them raw, steamed or stir fried. For sweet tender peas let mature longer on the vine and they can be used as a shell pea. Children will love the sweetness of Mammoth Melting Sugar Pea. 70 Days until harvest. Packet contains approximately 100 seeds grown naturally with love and care. 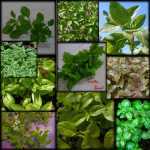 Giant Noble Spinach Seed ~ This long standing, large, plain leaved variety of Heirloom Spinach has big smooth leaves that reach full maturity in just 43 days. Giant Noble Spinach can be harvested at any stage of growth. The tender greens can be savored fresh or steamed or canned. Picture shown is of baby greens but you can let yours get bigger if desired. Packet contains approximately 250 seeds grown naturally with love and care. Gray Zucchini Squash Seed ~ Heirloom Summer Squash. Gray Zucchini Squash is a bush type plant that has large yields of tasty long, straight gray skinned fruit with creamy white firm flesh that are great for stir-fry. Gray Zucchini Squash is ready for harvest in 49 Days. Packet contains approximately 25 seeds grown naturally with love and care. Golden Summer Crookneck Squash Seed ~ This Summer Squash produces bright yellow fruit with a small crookneck. The fruit has a somewhat warty appearance. The older the fruit the more bumply. The seed area of Golden Summer Crookneck Squash is small giving each fruit a higher meat yield. For best flavor harvest at 4 - 6 inches. 50 days until harvest. Packet contains approximately 25 seeds grown naturally with love and care. Heirloom Yolo Wonder Sweet Pepper ~ This heirloom sweet bell pepper has thick walled 4 lobed fruit that start out green and turn to red. Very sweet crispy textured fruit. Produces good yields. 78 days until harvest. Packet contains approximately 25 seeds grown naturally with love and care. White Cloud Swiss Chard Vegetable Seed ~ This heirloom Chard has stark white stems that are topped with green leaves. Crunchy and flavorful. The leaves of White Cloud Swiss Chard can be harvested at any stage of development. 60 days until full maturity. Packet contains approximately 150 seeds grown naturally with love and care. Manitoba Tomato Seed ~ This heirloom tomato is a very early variety originating from Manitoba Canada. The bright red fruit are plumped full of goodness. Bush type plant produces many 6 ounce, red fruit. Determinate - 58 Days until harvest. Packet contains approximately 25 seedsgrown naturally with love and care. Black Cherry Tomato Seed ~ This heirloom grows tomato grows on large vines. Black Cherry Tomato produces a terrific ammount of red-purple black cherry tomato fruit rich in flavor. Very sweet. Indeterminate 65 Days until harvest. Packet contains approximately 25 seeds grown naturally with love and care. Pineapple Tomato Seed ~ This heirloom produces very large fruit weighing up to 2 pounds. The beefsteak type fruit are very colorful yellow with bright red streaks on the outside and blushing thoughout the flesh. Pineappple Tomato has a sweet mild flavor with a hint of tropical fruit taste. Yields are good. 75 Days until harvest. Packet contains approximately 25 seeds grown naturally with love and care. Heirloom Purple Top White Globe Turnip ~ This heirloom has large 3" - 4" diameter white globe shaped roots with purple tops. The white flesh is tender, sweet and crisp. The turnip tops are also tasty. 55 Days until harvest. Packet contains approximately 600 seeds grown naturally with love and care. Crimson Sweet Watermelon Seed ~ This heirloom is aptly named for its deep dark crimson red flesh that is super sweet tasting. The round shaped fruit of Crimson Sweet Watermelon range in size from 20 to 25 pounds and have skin that is dark green with light green stripes. 85 days until harvest. Packet contains approximately 30 seeds grown naturally with love and care. Sweet Meat Squash Seed ~ This heirloom winter squash is a great keeper for winter storage. The large vining plants produce fruits that average 9" x 5" and weigh around 10 pounds when mature. The shape of the fruit is somewhere between an acorn and a pumpkin. The skin color is slate gray / green. Sweet Meat Squash has golden orange flesh that is dry (like pumkin) sweet and dense. Great baked, made into soups or pies. These store for months to feed you through winter. 98 days until harvest. Packet contains approximately 25 seeds grown naturally with love and care. We have a wide variety of Heirloom Vegetable, Herb, and Flower Seeds. With all of our seeds: Your first packet ships for $2.50. All additional packets ship free. So your total shipping on a seed order is $2.50 no matter how many packets you order.